On December 31, I wrote my new resolutions. As I do every year. And every year I promise myself I will do my best to put them in practice all year long. Usually I manage to reach the end of February before I slack. This year starts as an absolute disaster and I'm afraid I will fail. Unfortunately, I cooked and baked so much for the kids and friends. Seriously, I can't just throw the leftovers. Someone has to finish all the delicious sweets before I can start dieting. Guess who's doing her best to clean the fridge of cakes, baklavas, chocolates, special breads... Oh my stomach! 2- Walk 10,000 steps: I have been walking and walking...in my house, but there is no way to reach that number. My new “fitbit” is slower than a turtle, beside walking outside is out of the question. So far the weather has been stormy. 3- Write three new books. Last year I published three new books and I managed to start a new story a month ago. If the weather continues to be nasty, I am sure I will finish my current story soon. 4- Talk to my kids every day. Hmm... Shouldn't they be the ones calling their old mom? When I told them that, the answer was, "Mom, you're far from old. I wish I had your energy. Can you babysit on Tuesday?" I look at the card on which I used my best penmanship to write my resolutions and sigh. It's only January 4. Maybe I can start on these resolutions on February 1st? Did you write your resolutions? Do you manage to keep them? Dr. Sylvia Reynolds promised to be at her parents’ house, in time for Christmas dinner. 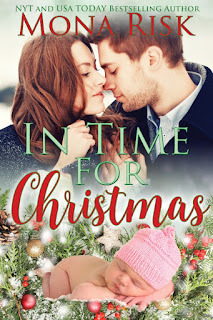 Her priorities change when she stumbles on a baby rattle and meets the gorgeous man who rescues her and his baby niece. 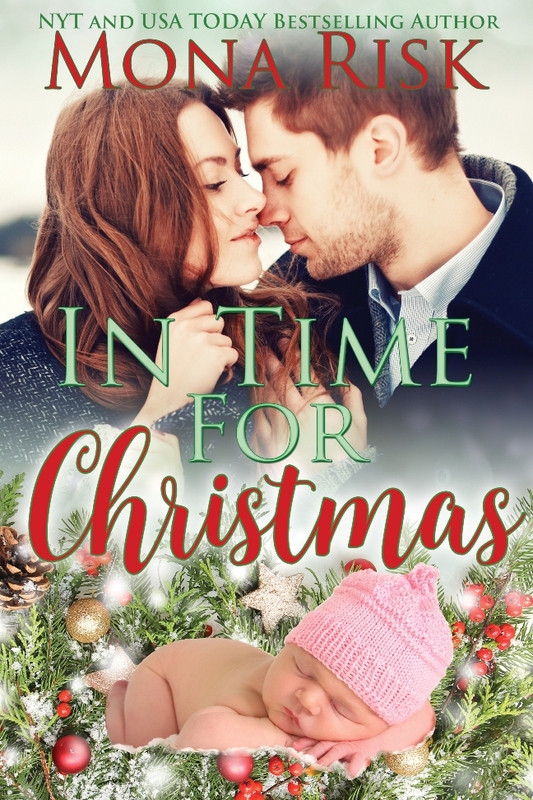 James Alexander, a successful lawyer, who doesn’t know the ABC of baby’s care, must deliver his five-months-old niece to her grandmother. Because of the blizzard paralyzing the Midwest, flights are canceled and passengers are trapped in airports for endless hours. At the end of his wit with a crying baby, James begs the lovely pediatrician for help. Can Sylvia turn her life and career upside down for a motherless baby who holds on to her for sheer survival and for James who wants her to stay with him for different reasons? I know what you mean Donna. My "stick-to-it-tive-ness" lasts for a week or two maximum. But if I don't write my resolutions I become a hopeless case. Your New Year's resolutions are good ones, Mona. Great that you wrote 3 new books this year. And I love the idea of talking to my kids every day. Hi Josie, I wrote my three books during the first half of the year, then life turned nasty. I had to struggle with health problems, broken bones and a bit of depression. Finally got out of it, thanks to my DH, and started writing again, breathing freely and living normally. Merrillee, you are a tennis woman and an a great athlete. I am far from being athletic, but I always try and never give up. Yesterday I reached 6,000 steps. Hopefully I will do 10,000 and maybe 12,000 when the weather improves. I am afraid to go too fast too suddenly and break a bone. I'll check Leslie Sansone. Thank you.